The 1983 NFL Draft took place on Arpil 26th and 27th of that year in New York City. It included twelves rounds and 335 players were selected. Over 30 of those players selected would go to the Pro Bowl. Eric Dickerson, Jim Kelly, John Elway, Dan Marino, Bruce Matthews, Darrell Green and Richard Dent who were all selected that day would later be inducted into the Hall Of Fame. Other than all of the things I have mentioned the draft is remembered for another reason, the Quarterbacks. This was the best draft class of quarterbacks in the history of the NFL. It also holds the record for most quarterbacks selected in the first round with six. Three of those six would make it into the Hall Of Fame. The standout quarterbacks of the class were by far John Elway, Jim Kelly and Dan Marino. John Elway was taken with the first overall pick by the Baltimore Colts. He was eventually traded before the season to Denver due to his unwillingness to play for the Colts head coach Frank Kush. During his career he established himself as one of the best quarterbacks in the league. 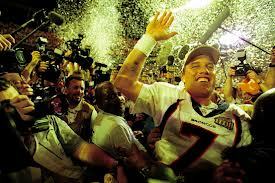 When his career was over he won two Super Bowl Championships and was inducted to the Hall Of Fame in 2004. 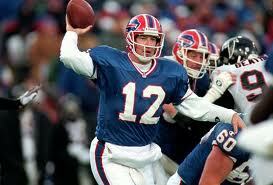 With the fourteenth overall pick the Buffalo Bills selected Jim Kelly. 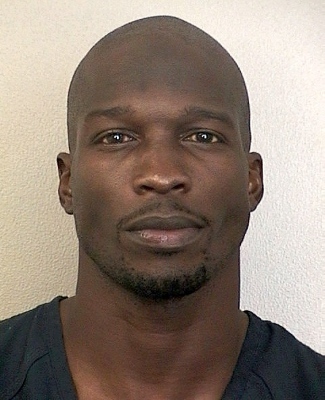 Kelly played the season prior in the United States Football League after leaving the University Of Miami. Of the quarterbacks drafted that day Kelly made more Super Bowl appearances than any one else. Kelly lead the Buffalo Bills to the Super Bowl from 1990 through 1993. Unfortunately the Bills never won any of those Super Bowls. Nonetheless Kelly proved himself to be a great quarterback and was Inducted to the Hall Of Fame in 2002. The final legendary quarterback taken in this draft was Dan Marino. He was projected to go early in the first round but fell back on a lot of teams boards due to reports of him using marijuana in college. The Miami Dolphins were willing to take a chance on this young man with a powerful arm and selected him with the twenty seventh overall pick. 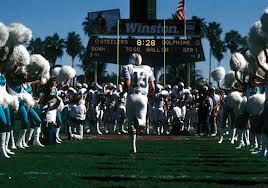 Marino played 17 season but only made one trip to the Super Bowl, the Dolphins lost that game to the San Fransisco 49ers. Marino did however finish career holding almost every quarterback record that existed. He was inducted into the Hall Of Fame in 2005. An interesting note about this draft is all of the first round quarterbacks went to AFC teams. Also the three half Of Fame quarterbacks all played for only one team during their NFL career. The Draft is such an intriguing event. Full of Pro Bowlers, Busts and Hall Of Famers. There will probably never be a quarterback class this good again. Some might argue that the 2012 class will stand the test of time but until it does the 1983 Draft will remain the best ever. On Saturday the number 21 ranked team in the country Kansas State hosted the Miami Hurricanes for the first time ever. K State was led by their Heisman candidate QB Collin Klein. Klein had 169 yards passing, 54 yards rushing and 2 TD passes in a win against Missouri State last week. On the other side of the stadium the Miami Hurricanes were riding the hopes of their break out freshman running back Duke Johnson. Johnson 7 rushes for 135 yards and 2 TD runs in a week 1 win over Boston College. While K State was favored going into the game the Canes had a chance at pulling out the upset on the road. The game however told a story that not even those favoring K State would have predicted. K State crushed the Canes by a final score of 52-13. The first quarter saw Klein and the K State squad looking really strong and dominating the Canes on the offensive side of the ball. The Canes made some mistakes in the first half, such as Duke Johnson dropping an open pass which would have led to a great gain of yards for the Canes. K State played their brand of football by using up the clock and wearing down the defense. K State made a mistake going into halftime when Klein tried a trick play reverse pass to his running back that led to a loss of yards and a missed field goal by K State. The momentum appeared to have changed going into half time with K State leading 24-6. When the second half started the Canes had many chances to get their offense going but could not capitalize. K State picked their play back up even stronger than before in the 4th quarter. K State out scored The Canes 21 to 7 in the final quarter. Collin Klein put on a clinic of passing and rushing to finish the game. The only bright spot for the Canes in the second half and probably the entire game was a 77 yard kick off return by Duke Johnson. The Canes will have to work on developing Johnson who has tremendous potential but made too many mistakes. Collin Klein had 210 yards passing, 81 yards rushing. With 1 TD pass and 3 rushing TD’s Klein showed how talented he really is on Saturday. We could be seeing Klein with the Heisman Trophy in December if he continues to put up numbers like he did in this game. Jose Reyes extended his hitting streak to 26 games on Wednesday night. Reyes went 1-3 in the 13-0 victory for the Marlins. The Marlins will play the final game of their 3 game series with the Mets on Thursday at 12:10pm EST. The Mets pitching sensation R.A. Dickey will take the mound for the Mets. Dickey has a 14-3 record and has an 2.82 ERA. Reyes has not hit well off of Dickey in the past, going 2-12 with 3 strikeouts against the pitcher. Reyes will have his work cut out for him on Thursday against a pitcher like Dickey.